These sounds require no DAW (Digital Audio Workstation) to use. They can be loaded onto any device/software that will play WAV files. This patch requires an authorized and working copy of Playback. This patch will run in the free Playback as well as in the pro and premium versions of Playback. Please note the minimum software version needed to run this patch in the “Minimum Software Version” section. The purchase of this patch entitles you to use it on ONE device at a time. You may not share this patch with anyone else. You cannot resale this patch in any form. You cannot resample this patch in any form/format. These sounds require no DAW (Digital Audio Workstation) to use. They can be loaded onto any device/software that will play M4A files. 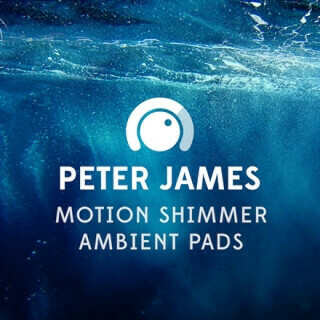 I have been using this Motion Shimmer Pad sound a lot recently at Hillsong Church to create ambience for transitions and as a ambient pad layer for songs. Because they are not tempo specific, they can be used in any tempo, time signature, and the bundle includes every key. They've been crafted musically to work equally well in songs that are in Major or Minor keys. The bundle comes with 3 Ambient Shimmer sounds (low, high and mix) that were recorded in each key for variety and flexibility. This bundle requires NO ADDITIONAL SOFTWARE and can be used in any DAW, or played from your smartphone or any other audio playback device that accepts WAV. It also includes a bonus Ableton Live file with a custom designed Audio Effects Rack to transform the sounds and provide even more sounds for those that do own Ableton.